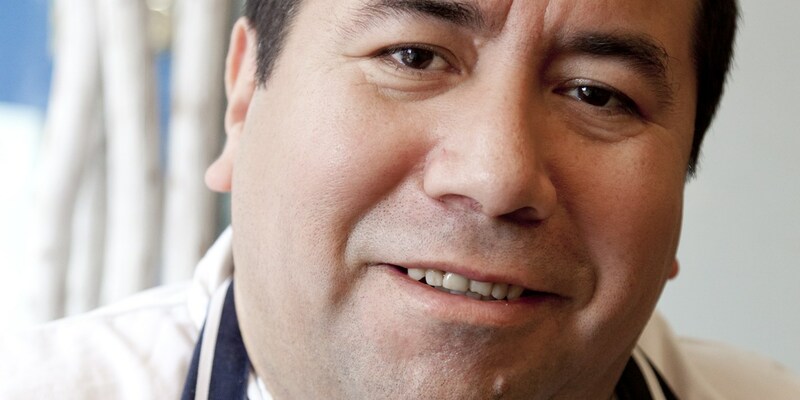 We asked pioneering Peruvian chef Robert Ortiz how he felt about hosting one of the chef’s tables at the 2015 London in the Sky event; a unique dining experience where chef, kitchen and guests float 25 metres above London’s South Bank. 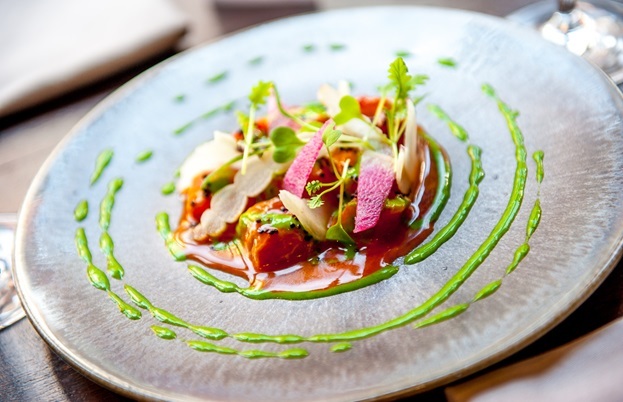 Hosting the very first lunch, dinner and canapé services of the 2015 event is a tall order, setting the scene for two weeks of culinary feasts from the likes of London restaurant giants, Tom Aikens and Chantelle Nicholson. 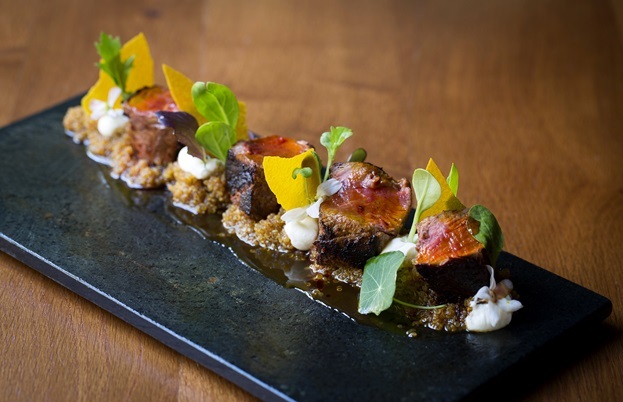 Robert’s menu for these is sure not to disappoint, with both meat and vegetarian options offering a real taste of modern Peruvian cooking. Ingredients that have become synonymous with Lima include the ever-popular grain quinoa and a variety of different corns and potatoes that put our British vegetable offerings to shame. Robert has before spoken about the need to incorporate the three landscapes of Peru into his cooking: the coast, the mountains and the jungle, and diners will be able to sample this in dishes such as his Andean red quinoa and yellow aji avocado salad and his Tuna Nikkei with tamarind, crispy onions and rocoto pepper. Which of the vegetarian dishes do you predict will be most popular with the London in the Sky guests? I do have a dish made with a kind of potato called olluquito, which comes in different colours and has a sweet, yet almost sour, taste – combined with yellow chillies and cheese it’s a great dish, not only for vegetarians! There are a number of varieties of potatoes in your dishes, which are your favourite types and why? Yes, we do have quite a number of potatoes; the most popular is a dried potato cultivated in the Andes of Peru, usually about 4,000 metres above sea level. Pairing chocolate with potato seems quite unusual for us, is this a Peruvian speciality? What type of chocolate are you using for the dish? I have this great chocolate that comes from the Amazon side of Peru from a place called Río Marañón, which I am really fond of using as I am from that part of the world. We pair it with purple potatoes that we cook and purée with corn and eggs to make them into crisps– these have an almost nutty taste when cooked and they go very well with the chocolate mousse. Where do you source many of your Peruvian ingredients from? Which are some of the hardest to find in the UK? We use around 18% to 20% of Peruvian products. We have a great supplier called Andes Peru. The hardest ingredient to get fresh is probably the huacatay herb, usually we get it in dried form or as a paste. What's the most unusual place you have served dinner so far? The most unusual place was in the jungle of Peru at my parents’ coffee plantation, where I had to prepare food from scratch for the people harvesting the coffee. This was a great experience, and most likely a treat for them. To be honest, I don’t know yet how to overcome this, but I am actually very afraid of flying and heights, due to a bad experience travelling once. For sure, I may have a couple of Pisco sours first to help…! 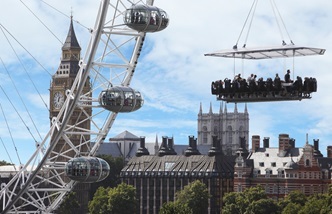 Robert will be cooking at London in the Sky for lunch and dinner services on the 17th and 18th September 2015. To find out more and book tickets, please visit the Events in the Sky website or catch up on the latest news via Twitter or Facebook.